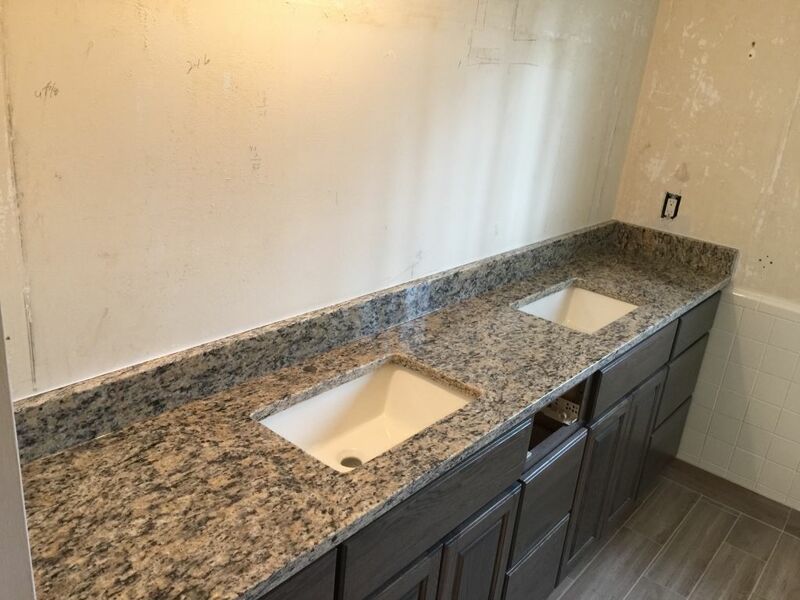 Bathroom Vanity Granite counter top with 2 rectangular Bisc under mount sinks with the amazing Flat polished edge ( Eased Edge ) . Very nice choice for the contrast with the Cabinets . It was installed in Royal Oak ,Michigan with 100% customer satisfactory .